One of the most valuable areas of the "Cave of Wonders": "The Glassworks of God"
La Gruta de la Maravillas (the Cave of Wonders) is a network of limestone caverns located in the town of Aracena. This natural underground monument is situated in the old centre of Aracena, under the hill crowned by the medieval castle and Priory Church of la Señora del Mayor Dolor, and has been open since 1914. The guided tour of Las Maravillas Cave follows a circular route of around 1km, and takes around 45 minutes. The visit includes two of the three levels of the cavity, at temperatures of between 16-19 degrees and relative humidity of 98%. 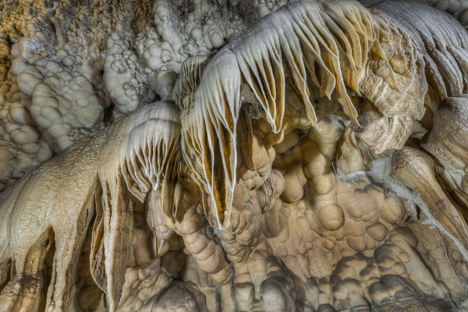 The scenery of these caves has formed over many thousands of years through a process known as “karstification” - the slow erosion of limestone, gradually dissolved by carbonic acid, producing fissures, sinkholes, underground streams, and caverns. 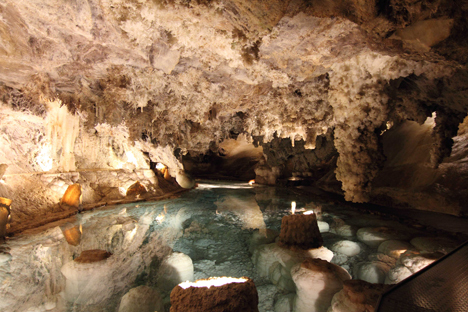 Because of its spectacular scenery, Las Maravillas Cave has been used as a location for many movies, both Spanish and foreign, most famously ‘Journey to the Centre of the Earth’ (1959), the Hollywood blockbuster directed by Henry Levin, as well as ‘Faustina’ (1957), by José Luis Sáez Heredia; ‘Tarzán in King Solomon’s Mines (1973) by José Luis Merino, and ‘Yerma’ (1999), by Pilar Távora. The most interesting part of the cave is located on the second level, where you can visit the Cathedral Hall, The La Cristalería de Dios (Glassworks of God), and the Volcano, amongst others. 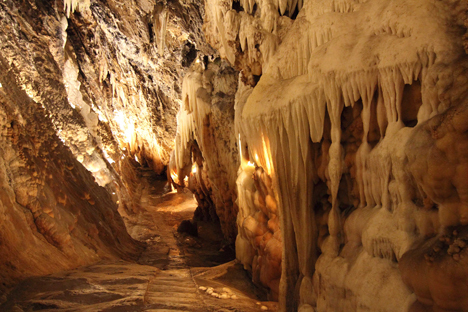 The main attraction is the amazingly varied amount of speleothems (stalagmites and stalagtites). Some are bluish or reddish in colour, due to the presence of impurities such as copper and iron in the calcium carbonate formed – one of the most fascinating areas of the cave from this aspect is La Cristalería de Dios. 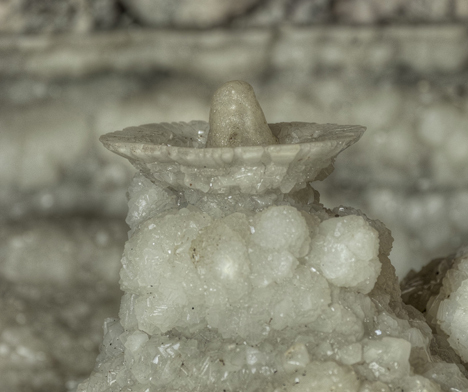 Some of the most spectacular formations on this level of the cave are the calcite cones floating on the Emerald Lake. 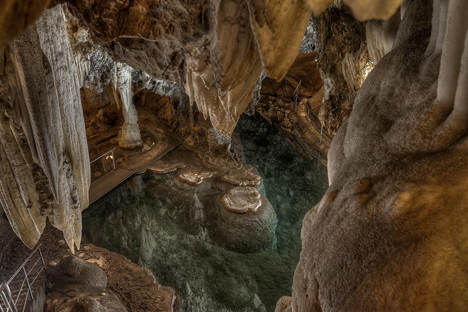 The tour of Las Maravillas cave begins on the lowest level, where you will find the Great Lake, the Gallery of Lakes, the Naked Chamber and the Chickpea Chamber, among others. The starting point is the Conch Chamber, with its magnificent stalagmite. The third level of the cave is not included in the tourist route. It is a protected area used for geological research. To celebrate the 100th anniversary of the opening of the cave, in 2014, as well as improving the lighting system, the tour was extended for the first time since 1929. Two further areas are now open to the public: la Sala de Los Banquetes (the Chamber of Banquets), located on the first level, next to the entrance to the cave; and la Sala de la Palmatoria (the Candlestick Chamber), on the second level, next to the Cathedral. To visit these two new spaces, you need to reserve in advance by Tel 663 937 876, this extended tour is 90 minutes, groups of ten and entrance costs 20€. According to popular belief, a shepherd called Tio Blas found Las Maravillas caves. He supposedly discovered the karstic cavity when one of his sheep became separated from the flock and was grazing near the castle. While searching for the animal, Tio Blas stumbled upon the cave entrance. Another theory is that the cave was discovered in the mid-19th century as a result of mining prospection - in search of a silver mine under the mountain. As soon as the residents of Aracena knew of the cave’s existence, they started venturing inside and removing the curious limestone formations – before long, this was happening on a regular basis. These daring explorers described it as a “snow-covered well”. Perhaps this is how the name of the street where the entrance to the cave is located, Pozo de la Nieve, originated. Las Maravillas caves were officially opened to the public in September 1914, after the interior lighting and steps necessary to make them safe for public visits had been installed. The Marquess of Aracena, Francisco Javier Sánchez-Dalp, and the mayor at that time, Juan del Cid, both saw the tourist potential of the cave and they promoted these guided tours. It was the first cave in Spain to open for public visits. In those days, the electricians who managed the lighting system within Las Maravillas caves led the visitors’ tours, in exchange for a donation. The route back then was only half of what it is today. One year after its opening, King Alfonso XIII and Queen Victoria Eugenia visited the cave. They returned in 1929 when the cave entrance was built, by architect Anibal Gonzalez, the man behind the greatest masterpiece of the Expo 1929 in Seville: Plaza de España. Mornings 10:00 to 13:30 hrs. Afternoon 15:00 to 18:00 hrs. Open every day except 24, 25, 31 December, 1, 6 January. The entrance is limited to 1,000 visitors day for conservation reasons. The visit is undertaken in guided groups (only in Spanish), visitors simply join the next departing group at the ticket office. The walk is about one km and takes 45 mins. 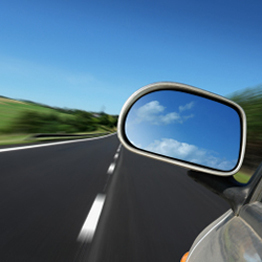 There are audioguides available in different languages. Taking photos is not permitted in the caves, the owners state this is for reasons of organisation, management and conservation. Many tourists complain about this in reviews and assume an economic motivation for this non photo policy when they discover the opportunity to buy a photo at the end of the tour for 8€. The Cave refutes this citing a loss of a much greater economic benefit from the potential publicity on social media if photos were permitted. Special Centinery Visit including addition chamber lasting 90 min for groups of ten costing 20€ per person requires pre-reservation.